casadelamoneda has no other items for sale. 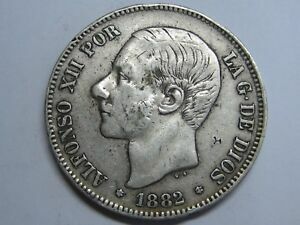 Details about 1882 ALFONSO XII 5 PESETAS SMALL OVER PRINT SPAIN SPANISH SILVER COIN . 1882 ALFONSO XII 5 PESETAS SMALL OVER PRINT SPAIN SPANISH SILVER COIN . Alfonso XIII (1886-1931) Madrid, 1 Peseta 1889*18-89. MPM - 23mm; 4.78g / Rare! 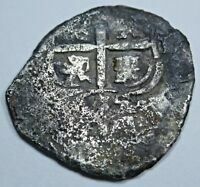 1883 SPAIN SILVER 20 CENTS. COLLECTOR COIN FOR YOUR COLLECTION.